Enjoy the satisfying tastes of these three 10 oz honey cake loaves bursting with flavor. 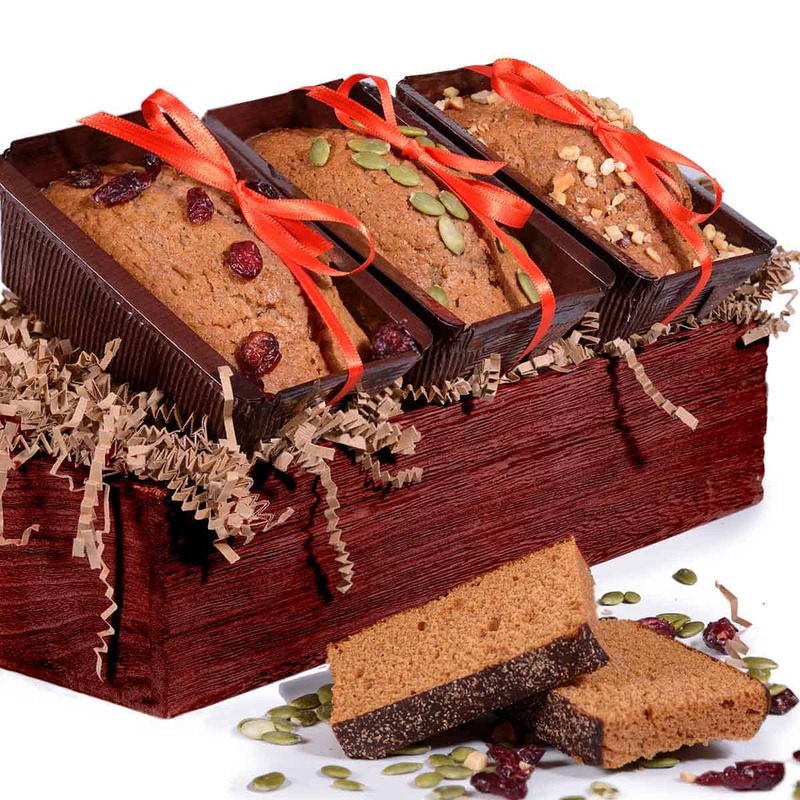 Each cake is infused with premium honey and perfect fall spices. 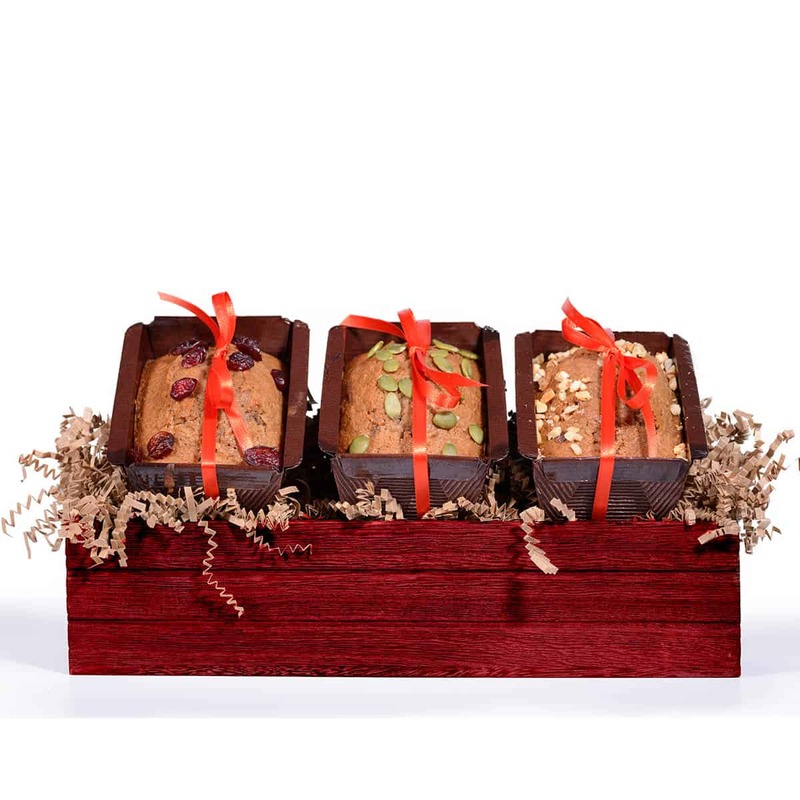 Cakes arrive in a lovely wooden crate ready for celebration and warm wishes for a sweet new year.